â€œListen dear, your father and I are flying down today evening and the three of us can have dinner together. I will arrange a place, donâ€™t you worryâ€ her mother said lovingly. â€œOhh it looks like my baby wants to perfect her culinary skills before she starts cooking for her darling Milanâ€ She loved how her mom called her â€˜babyâ€™. Cooking always soothed her nerves and gave her peace and she enjoyed doing it. While cutting the vegetables and grinding the coconut, she couldnâ€™t stop thinking about what would happen at the Bharat Jagaran, how could she put in her papers within months of her joining. It would put an indelible mark on her resume – that she was a job hopper â€“ nobody asks you the reason why you quit so many jobs, all they care about is that you are a rolling stone who cannot stay still at one place and grow roots. God knows how their meeting would turn out tomorrow, whether his parents would like her? Did the meeting of the two families tomorrow mean that everything was fixed? That Milan would be her husband? Whether Milan would have his own set of conditions â€“ she had never before thought of that, that he too would have his set of dreams and wishes. How would she tackle those? While still thinking a lot, she made a quick aviyal and rasam, her mom loved aviyal and her dad had certified that Asha made the best rasam in the world; coming from her dad, that was a huge compliment. He was a man who believed in not wasting anything, and he practiced it by not wasting words by speaking much. As she set the table for dinner, she smiled when she thought that soon, she would be cooking for him. Previous An Award? For Me? Really?!! Woo Hoo!! Thank you Yvonne, I completely understand, and there is no need for you to apologize. We are all humans and make mistakes all the time, so don’t feel bad about it. I hope her smile lasts. When I was getting married, it was the cooking that wiped the smile off my face LOL!! :)!! My cousin just went through this ritual a couple of weeks back.. I find it quite interesting that everyday you can churn out a piece of you story! Ahh now waiting with bated breath for the next installment ! Popped by from AtoZ. Nicely written piece. Hope you’re having a good challenge. The anticipation is killing me – love how you chose the names. I like the way the story is progressing. Slow and steady, to its destined conclusion. Wow! You are one lucky lady! What an intriguing story! 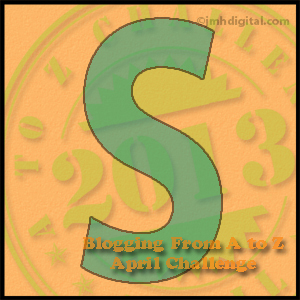 Happy blogging the rest of the way to Z! Cool story! I’ve been going back over the old posts, reading Asha’s story. Depicted emotions so well and cooking really helps. So great thank you! Always await more in anticipation! I don’t like cooking so much 🙂 Love your story though and look forward to the next episode. I love reading about Asha! “He was a man who believed in not wasting anything, and he practiced it by not wasting words by speaking much.” What a great line!